OC Bike Activist Brenda Miller covers two Bicycle Safety Rodeo events, funded by a Federal grant called, Partnerships to Improve Community Health and awarded to non-profit Community Action Partnership of Orange County (CAPOC) in conjunction with the Alliance for a Healthy Orange County (AHOC). The U.S. Department of Energy Solar Decathlon 2015 returns to the Orange County Great Park October 8-11 and October 15-18 from 11 a.m.-7 p.m.; Free event; $10 parking. The Solar Decathlon challenges collegiate students from across the country and around the world to design, build and operate solar-powered houses that are cost-effective, energy-efficient and attractive. 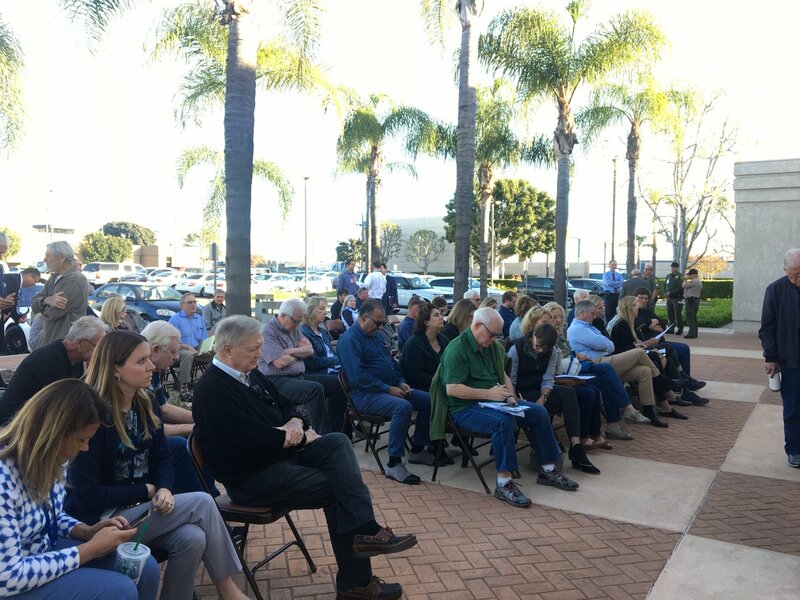 A two-hour long community forum hosted by Voice of OC featured spirited discussions on issues ranging from the Santa Ana Police Department’s community policing program, to immigration detainees at the city jail and a perceived lack of accountability for officers who engage in misconduct. The Times’ editorial board did not pull any punches, describing the actions of prosecutors as “blatant and systematic misconduct” and calling on the U.S. Justice Department to launch an investigation. Voice of OC posts press releases as a way of providing readers with information directly from businesses, cities, county and state agencies, political organizations and nonprofits. We do not edit or rewrite press releases. We allow readers to comment on releases, and we encourage readers to contact the originator of a given release for more information. To submit a press release email engagement editor Julie Gallego at pressreleases@voiceofoc.org. IN SOLIDARITY WITH THE POPES VISIT TO A PHILADEPHIA JAIL, THE ORANGE COUNTY CONGREGATION COMMUNITY ORGANIZATION CLERGY and COMMUNITY and FAITH LEADERS WALK TO THE ORANGE COUNTY JAIL FOR PEACE, DIGNITY AND JUSTICE. Voice of OC posts press releases as a way of providing readers with information directly from businesses, cities, county and state agencies, political organizations and nonprofits. We do not edit or rewrite press releases. We allow readers to comment on releases, and we encourage readers to contact the originator of a given release for more information. To submit a press release email engagement editor Julie Gallego at pressreleases@voiceofoc.org. The CalOptima Board of Directors welcomes input and recommendations from the provider community regarding issues concerning CalOptima programs. For this reason, the CalOptima Board encourages providers to become involved through an advisory group known as the Provider Advisory Committee (PAC). The city this month filed a formal rejection to a recent grand jury report that harshly criticized the city’s scheme for financing the convention center expansion. Mayor Tom Tait agrees with the grand jury and refused to sign the city’s rebuttal. Voice of OC posts press releases as a way of providing readers with information directly from businesses, cities, county and state agencies, political organizations and nonprofits. We do not edit or rewrite press releases. We allow readers to comment on releases, and we encourage readers to contact the originator of a given release for more information. To submit a press release email engagement editor Julie Gallego at pressreleases@voiceofoc.org. IRVINE, CA (Sept.
SANTA ANA, CA— Reflecting his dynamic and growing support, today former State Senator Lou Correa won a highly sought-after endorsement from the California Small Business Association (CSBA) in his campaign to represent California’s 46th Congressional District seat.